The Online Fourth Way School is offered to those not living in an area where there are group meetings. It offers an exploration of the teaching through teacher-student guidance and interaction. A concise description of G.I. 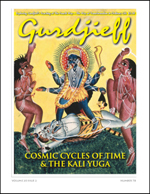 Gurdjieff's discovery of The Fourth Way Teaching, its major ideas and principles, and his struggle to introduce the teaching to the West. The Gurdjieff Legacy Foundation Bay Area, CA offers group work in the practice and principles of G. I. Gurdjieff\'s teaching of The Fourth Way, under the direction of William Patrick Patterson.